When we visit archaeological sites in many of our upland landscapes today, it is easy to fall into the trap of projecting modern views on to the past… almost literally in this case. There can be an element of “why did they bother”? The climb is often steep, the landscape is stony and overgrown for half of the year and the soil is damp and peaty. Such landscapes offer something of a mystery or other-worldness for religious practices and ideas but what were people up to bringing animals and crops here either seasonally or permanently. Sheep, cattle and goats graze the uplands today, but even then it is largely rough grazing on the higher slopes. What we see today however, is our view of the uplands, the product of agricultural practices in the last century or so. 150 years ago, population expansion amongst the poorest in society pushed the limits of enclosure and cultivation much higher upslope in many areas; something we can re-imagine today from historical records, maps and paintings as well as the physical traces in the landscape. But the very presence of peat, blanket bog, heather, gorse and bracken etc is a product of much longer term agricultural practices combined with climate change. More research is needed in many places such as the Blackstairs to understand the vegetation history but what we can infer from elsewhere is that the landscape in prehistory and even the medieval period would have been much more of a patchwork between grassland, cereal crops, forestry as well as rough vegetation. Most of the settlement and agricultural sites however, would most likely have been surrounded by the former habitats and not how they are found today often densely overgrown. Enter Newtown in Co. Dublin. I had the pleasure of being brought on a tour here a few weeks ago by Ivor Kenny and Red Tobin. Located on a south facing slope; over 300m above sea level in Glencullen; is a complex of sites which appear to date from prehistory through to the post-medieval period. Under grazed pasture with pockets of scrub vegetation, this area gives a better impression of the landscape character of many of these upland sites during their use thousands of years ago, at least in their immediate surroundings. Copper was one of the first metals to be used in Ireland and the discovery of a flat copper axe in nearby Ballyedmonduff (Ní Lionáin and Davis 2014) indicates activity here from at least the late Neolithic- Early Bronze Age (c.2500BC) . Atop one of the wide, flat summits along this ridgeline is a ringed topographical feature which may indicate an enclosure or even more excitingly, the last remains of a cairn possibly containing a passage tomb; a Neolithic feature. 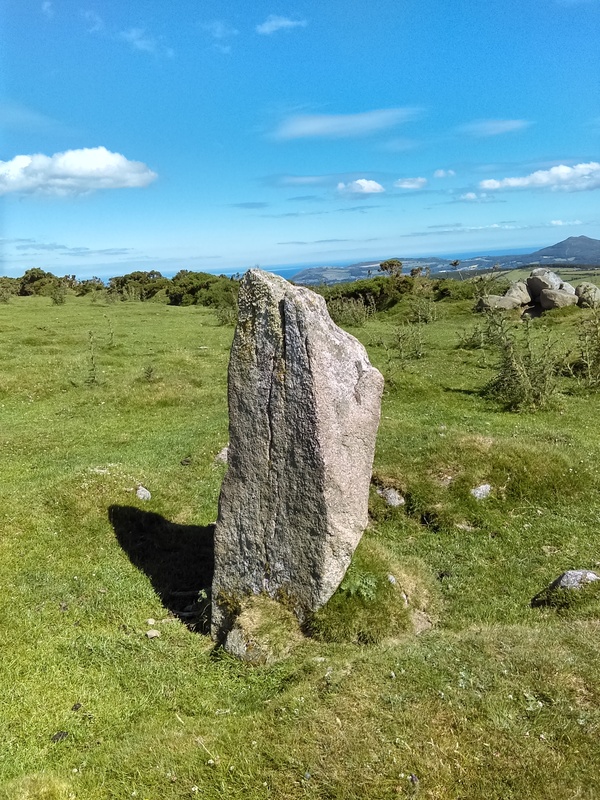 Nearby is a large standing stone with a barrow next to it. Barrows consist of a central mound of earth with a surrounding ditch and mainly date to the Bronze Age and sometimes Iron Age (2500BC-400AD). Often a primary burial was placed under the mound with secondary burials dug into and surrounding the site. What is more interesting about this example is that it appears to have been added to and heightened in a second phase of construction. As well as prehistoric features there is also an early medieval ringfort which is classed as a cashel meaning that it is enclosed by a stone wall rather than an earthen bank and ditch (rath). These sites were generally constructed between 500-1000AD however, many continued in use into later periods both as settlement sites as well as animal enclosures. The surrounding field system is also littered with cultivation ridges and lynchets; earthen terraces on hillslopes caused by build up and ploughing over several generations. Two further denuded circular enclosures are located upslope from the cashel surrounded by lynchets with what appear to be the remains of hut sites, animal enclosures or structures inside. Even the nearby graveyard has some interesting headstones as well as a ruined church. Kenny, I. 2016 Stone-Cleaving in the Dublin Mountains. University College Dublin; Unpublished Thesis. 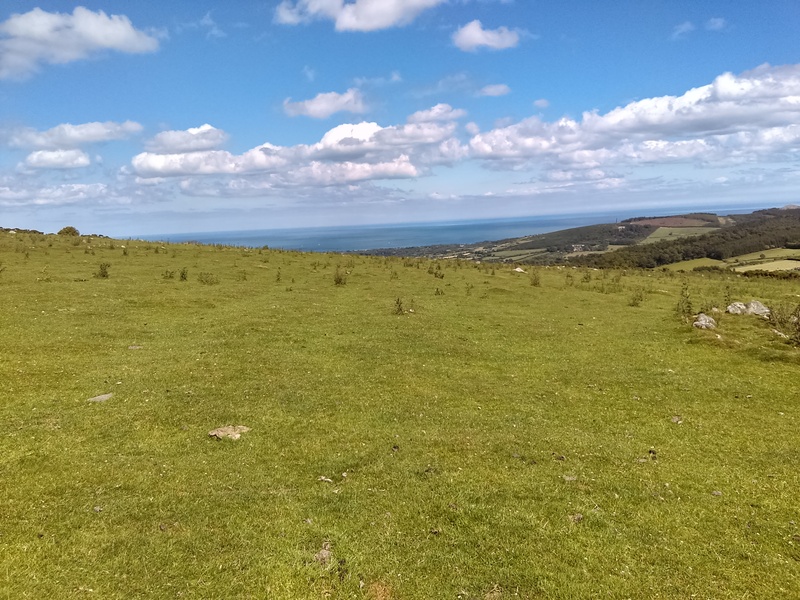 Ní Lionáin, C. and Davis, S. 2014 The Dublin Uplands – Past, Present and Future. Dublin; South Dublin County Council and Dun Laoghaire Rathdown County Council.